Are you in love with the idea of cooking tasty food for a living, but you’re not exactly eager with the idea of working in a kitchen or starting up your own restaurant for scratch? If that’s the case, then starting a catering business may be something you might want to consider. 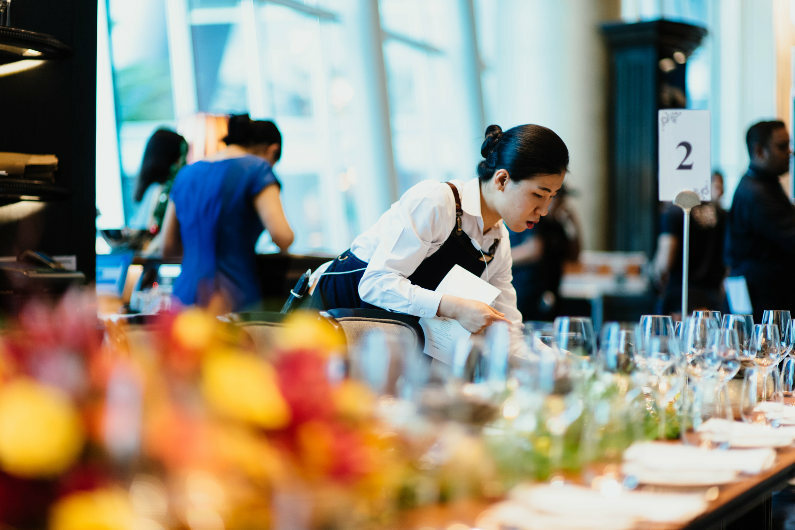 This article will focus on helping you effectively start up your own catering agency, from picking out your culinary niche to the more entrepreneurial side of things, such as how to close the deal with a formal proposal. The latter is especially important, as it’s one of the keys of succeeding in the catering world. After all, you’ll be running headlong into a very competitive field, so you’ll need every advantage you can get. What’s the type of food or cuisine that you absolutely love and you’re good at cooking? Think of that, then do a quick Google search for the catering businesses in your area to see if they offer anything similar. If they don’t, then you may be on the verge of carving out a new niche entirely for yourself, one that has a lot of untapped market potential. If you find that many caterers are indeed offering your specialty, however, don’t lose hope since there are still ways to set yourself apart from all your competitors. For example, you may offer free furniture rentals that are more stylish than the kind that’s being offered. Your planned catering packages may also involve some unorthodox or unheard-of extras or implementations, such as the services of a fun and lively emcee for the event or an interesting fusion of western and oriental cuisines. Look at reviews of your competitors and see what their customers are complaining about, and you can seek to capitalize those qualities that they lack. The possibilities are endless. What’s important here, though, is that you shouldn’t simply adjust according to your current catering landscape. You have to focus on what makes you passionate about cooking. That passion will come across your cooking and drive you to success. As you’re figuring out your niche, you can also get in direct contact with your potential clients to get an idea of the kind of people you’ll be providing services to. You don’t necessarily have to get everything settled, business-wise, to do this. Just set up a few phone calls where you preface right out that you’re not trying to sell them something, but rather doing some market research instead. You can even identify yourself beforehand if you like—just be polite, upfront and honest. 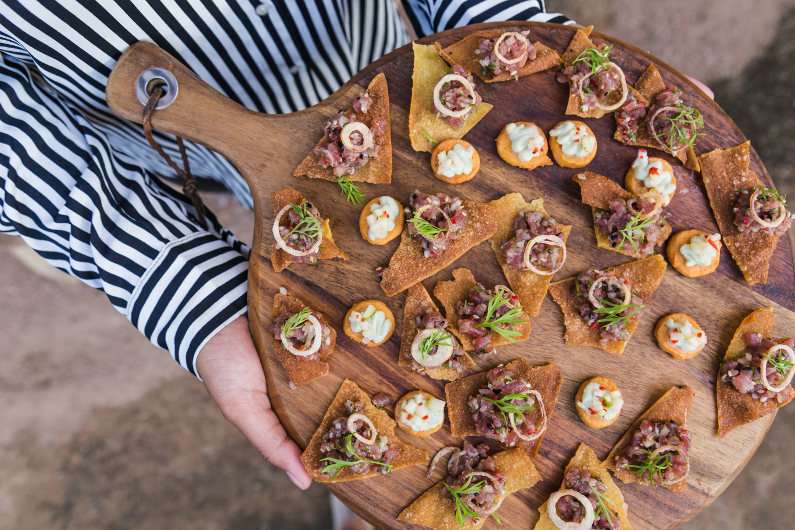 What kind of qualities do you look for in an ideal catering service? What kind of food or services do you want your local caterers to offer? Have you been satisfied or dissatisfied with any previous catering companies you’ve dealt with lately? What could they have done to earn your satisfaction? By doing this, you’ll not only get a good idea about your potential clientele, but also what their unspoken demands are when it comes to the catering service that they hire. You may also glean just how much your local businesses are willing to set aside or pay for catering, which can help in your own pricing matrix and bid proposals. Finally, it’ll give you further clues as to what catering niches are crowded, and what niches are currently desired. There are many guides, services, and free software online that can help you with all of these practices, from learning them to pulling them off efficiently. If you feel that things are just getting too much to handle, however, don’t be afraid to hire assistants to help you out, especially if business starts booming. But you have to learn all of this first on your own so you can easily impart this knowledge to others. This way, your catering business won’t be crippled if a critical employee is indisposed. Catering isn’t just about cooking, it’s also about taking care of all the things that have to do with the storage, the delivery, the presentation, and the clean-up of the food. As such, you can expect to be dealing with a lot of vendors, and not just the kind that sells you the ingredients you need for your tasty cuisine. Research the suppliers of the essentials you’ll require in your business, such as those that deal exclusively in linens, glassware, silverware, and so on. Having a dedicated dealer of organic foodstuffs and products wouldn’t hurt, either. There will always be a demand for catering services, so you don’t need to rush in starting your business from the ground up. Do the research beforehand and consider your options carefully and deliberately. Don’t rush headlong into things, even though it seems supremely tempting to do so. You’ll only stress yourself out and most likely miss something critical—which could then cut your business plan off the knees if you’re not careful. By all means, allow yourself to be passionate and excited about starting this new venture, but as with all businesses, you need a cool head to make the decisions that will benefit you in the long term. Starting a catering business on your own may seem like an exciting prospect, but it has its own hurdles that you have to clear on your own in order to succeed. By taking into consideration the above practices, you’ll be well on your way to carve your own niche in this competitive industry.